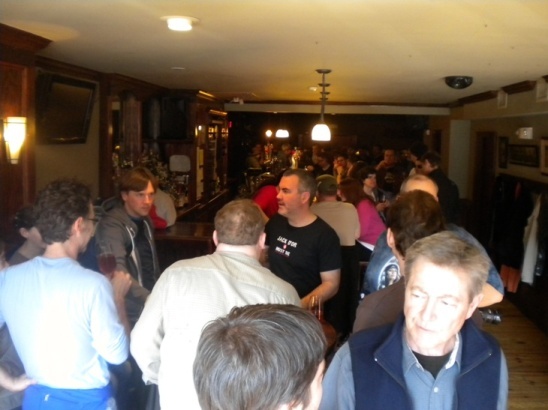 To celebrate the NERAX (New England Real Ale Exhibition), the members of NERAX planned a fun pub crawl through Somerville and Cambridge. 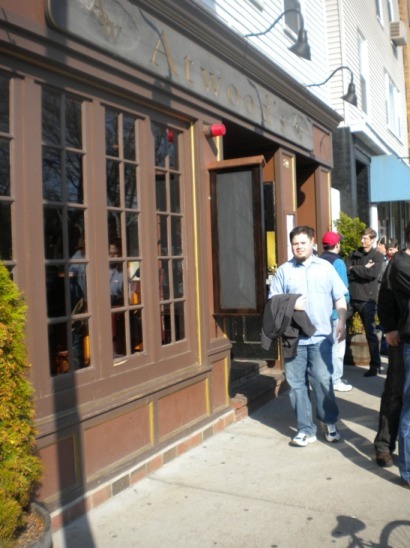 During the crawl, we visited four pubs locally known for their outstanding beer selections (unfortunately, we couldn’t visit all of the pubs in Cambridge/Somerville). 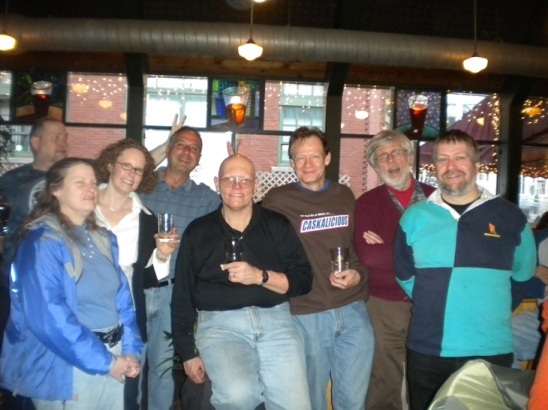 A local brewery was featured at each stop. 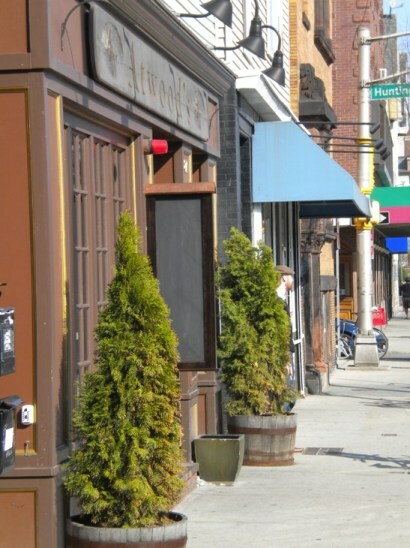 The Indo, with 32 draft beers, is poised to offer real ale later this Spring. 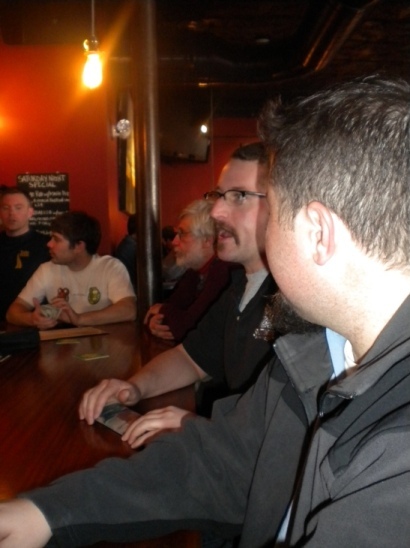 For the NERAX 2010 Pub Crawl, the TAP in Haverhill is sending a pin of GestAlt, a German-style Brown Ale dry-hopped with Spalt. 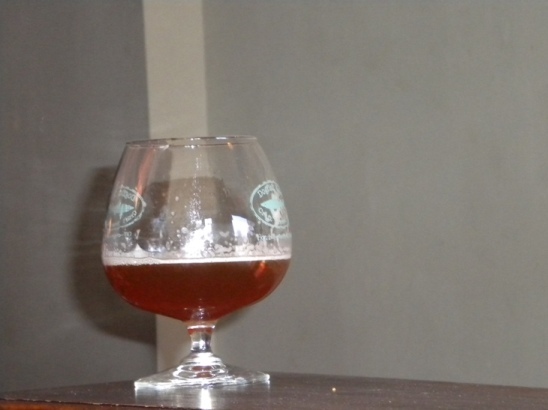 Brewed from an OG of 1.052, this beer is 5.4% abv, and 40 ibu. 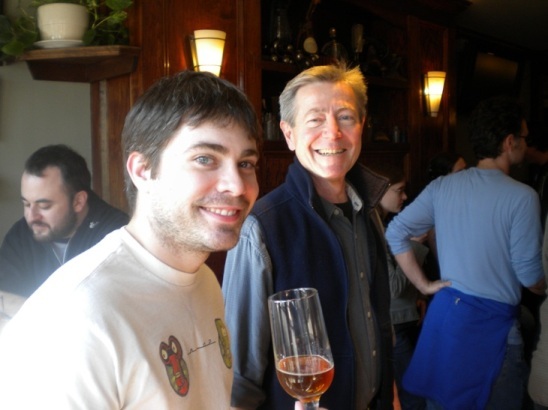 The brewer, Jon Curtis, will be there to lift a glass with us. 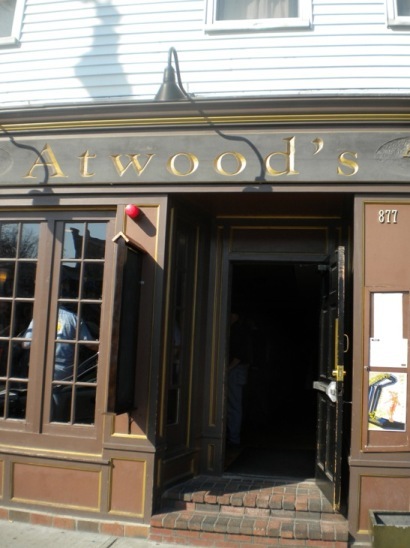 Atwood’s offers 24 draft beers, and will be setting up a pin on the bar especially for the NERAX 2010 Pub Crawl. 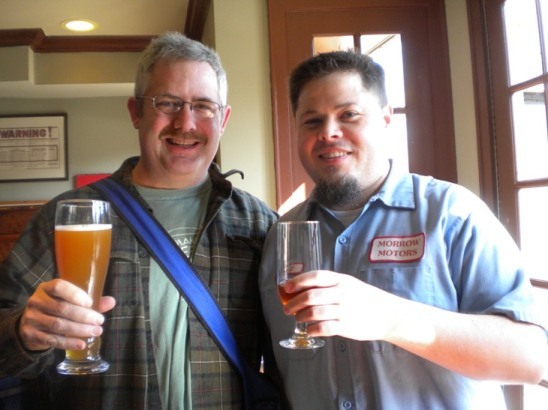 The brewer, Dann Paquette, will be there with us. 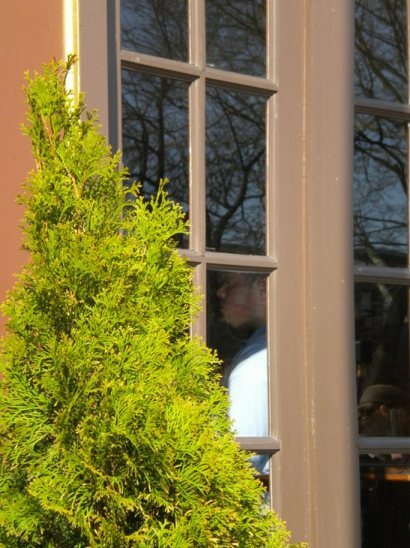 He will bring his super-rare “Once Upon A Time: February 27th, 1832 MILD”. This was brewed from the original brewsheet of the same day on Brick Lane, London. 10.5% abv, 75+ IBU. Mild Ale Malt, 4# per barrel of Kent Golding leaf hops in the boil. 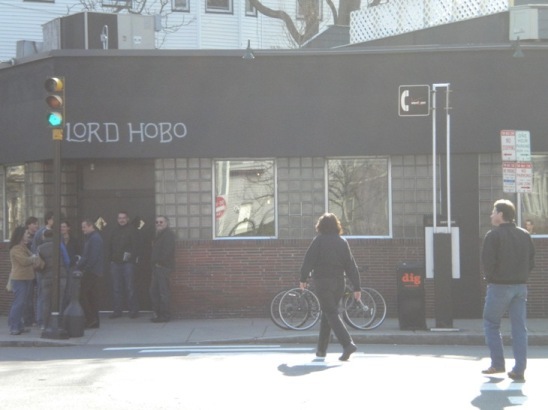 Lord Hobo, home of 30 draft beers and 3 full time cask offerings, will be opening an hour early exclusively for the NERAX 2010 Pub Crawl. 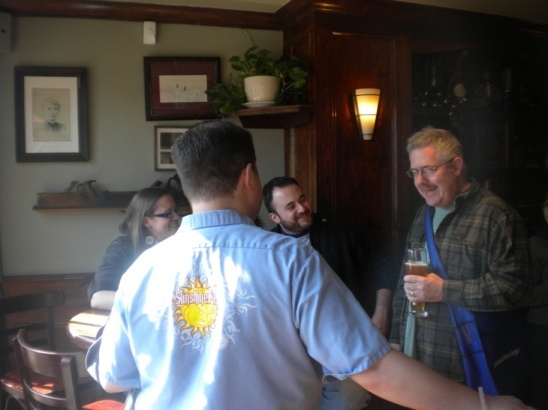 A rare firkin of cask-conditioned Smuttynose Big A IPA will be pouring from one of the three beer engines. 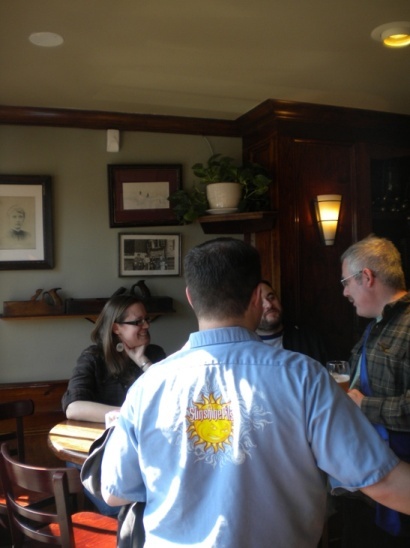 CBC’s house beers have won national and international awards, and a cask is tapped every Tuesday. 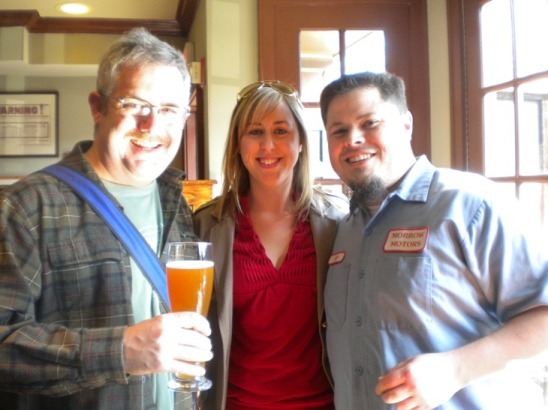 Megan O’Leary Parisi, Lead Brewster, will be tapping a firkin of Tall Tale Pale Ale dry-hopped with Amarillo expressly for the NERAX 2010 Pub Crawl. 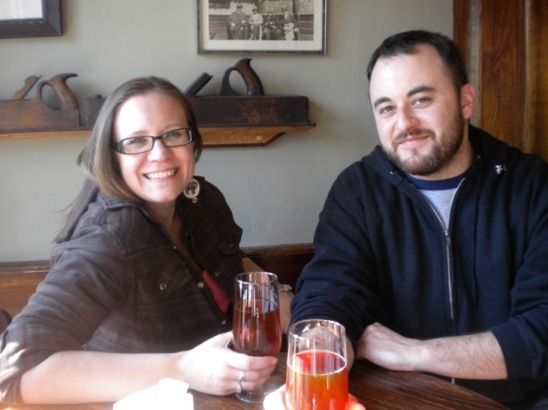 The crawl was a blast – Amber and I enjoyed the fun and relaxing atmosphere. The beer at each stop was very tasty. 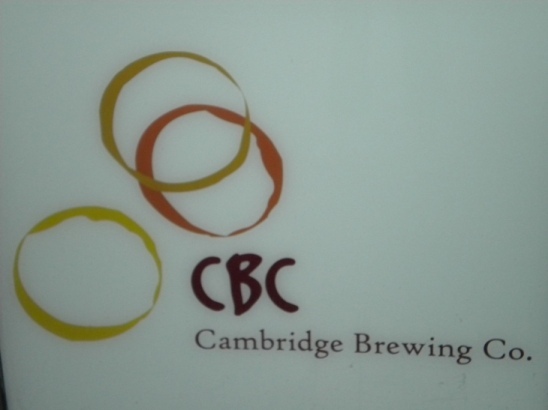 It was our first visit for stops 1-2-3, but having visiting the Cambridge Brewing Company many times, we were excited about the trip. 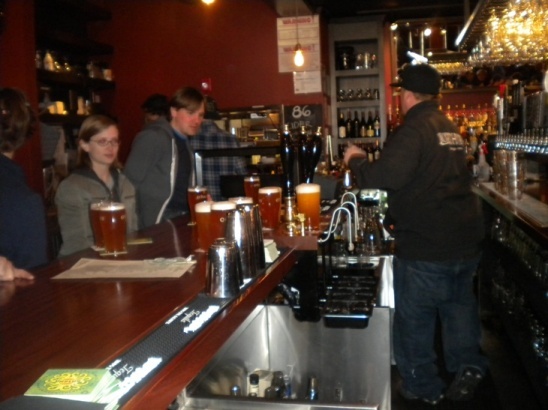 It was especially nice for the folks at Lord Hobo to open early, specifically for the crawl – thanks to all the participating restaurants and breweries. 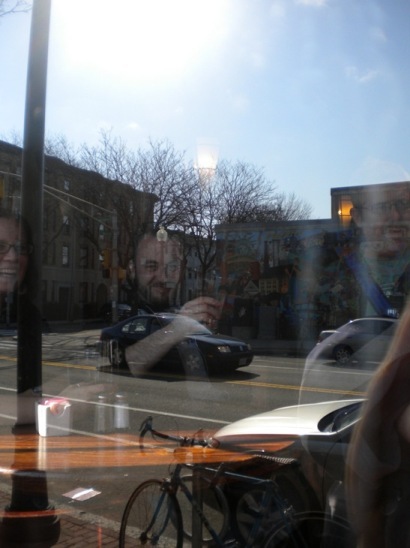 As we moved from place to place, it seemed we added more people that we dropped. I think at the peak, there were about 60-75 people. 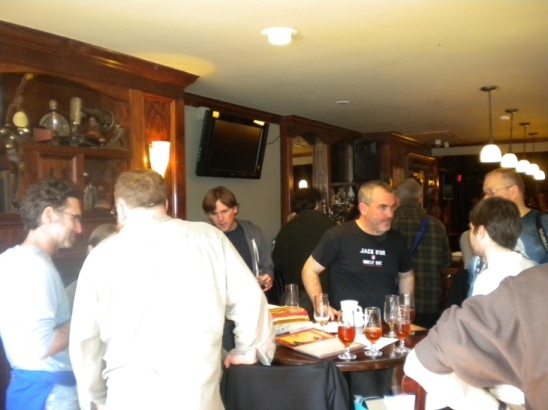 Thank you NERAX for hosting this event.